Microplate: 96 breakable wells (12strips x 8wells) coated with anti-mouse VEGF-A. 20x Wash Buffer Concentrate: 1 Vial, 25 ml. 5x Assay Diluent: 1vial, 15 ml. Standards: 2 vials, recombinant mouse VEGF-A. Detection Antibody: 2 vials, biotinylated anti-mouse VEGF-A. TBM Substrate solution: 1 Vial, 12 ml. Stop Solution: 1 Vial, 8 ml of 0.2 M sulfuric acid. Distilled or deionized water, 2.Precision pipettes, with disposable plastic tips, 3.Beakers, flasks, cylinders necessary for preparation of reagents, 4.Microplate washing device (multichannel pipette or automated microplate washer), 5.Microplate shaker, 6.Microplate reader capable of reading at 450 nm. Assay diluent: Dilute the concentrated assay diluent 1:5 with distilled water (e.g. 10 mL plus 40 mL). 2. Wash buffer: Dilute the concentrated wash buffer 1:20 with distilled water (e.g. 20 mL plus 380 mL). Standard: Briefly spin standard vial before use. Add 400 μL 1x Assay Diluent to prepare a 5 ng/mL standard. Gently vortex to mix. Take 100 μL standard into a tube, then add 400 μL 1x Assay Diluent to prepare a 1000 pg/mL stock standard solution. Add 300 μL 1x Assay Diluent to 7 tubes. Label as 400pg/mL, 160pg/mL, 64pg/mL, 25.6pg/mL, 10.2pg/mL, 4.1pg/mL and the last tube with 1x assay diluent is the blank as 0pg/mL. Perform serial dilutions by adding 200 μL of each standard to the next tube and vortexing between each transfer. Detection Ab: Briefly spin the Detection Antibody vial before use. Add 100 μL of 1X Assay Diluent into the vial to prepare a detection antibody concentrate. The detection antibody concentrate should be diluted 80-fold with 1X Assay Diluent. Streptavidin-HRP: Briefly spin the HRP-Streptavidin concentrate vial and pipette up and down to mix gently before use. HRP-Streptavidin concentrate should be diluted 160-fold with 1X Assay Diluent. Sample: Levels of the target protein may vary among different specimens. 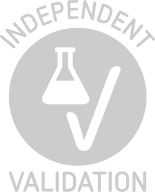 Optimal dilution factors for each sample must be determined by the investigator, the recommended dilution for serum and plasma is 1: 2. Sample Collection Serum: Use a serum separator tube (SST) and allow samples to clot for two hours at room temperature or overnight at 4 °C before centrifugation for 15 minutes at 1000 x g. Remove serum and assay immediately or aliquot and store samples at -20 °C or -80 °C. Avoid repeated freeze-thaw cycles. Plasma: Collect plasma using EDTA, or citrate or heparin as an anticoagulant. Centrifuge for 15 minutes at 1000 x g at 2-8 °C within 30 minutes of collection. Assay immediately or aliquot and store samples at -20 °C or -80 °C. Avoid repeated freeze-thaw cycles. Cell Culture Supernatant: Centrifuge samples for 20 minutes at 1000 x g. Remove particulates and assay immediately or store samples in aliquot at -20 °C or -80 °C for later use. Avoid repeated freeze/thaw cycles. Prepare all reagents, detection anytibody, standard and samples as directed in the respective sections. Remove required quantity of test strips/wells, place in well holder.4. Add 100 μL of each standard and sample into appropriate wells. Cover well and incubate for 2.5 hours at room temperature or over night at 4 °C with gentle shaking. Decant or aspirate contents of wells. Wash wells by filling with at least 300 μL/well prepared wash buffer followed by decanting/aspirating. Repeat wash 4 times for a total of 5 washes. After the last wash, blot plate on absorbent paper to remove residual buffer. 8. Add 100 μL of prepared Streptavidin solution to each well. Incubate for 45 minutes at room temperature with gentle shaking. 10. Add 100 μL of TMB One-Step Substrate Reagent to each well. Incubate for 30 minutes at room temperature in the dark with gentle shaking.11. Add 50 μL of Stop Solution to each well. Read absorbance at 450nm within 30 minutes of stopping reaction. If wavelength correction is available, subtract the optical density readings at 570nm from readings at 450nm. Average the duplicate readings for each standard and sample and subtract the average zero standard optical density. Create a standard curve by reducing the data using computer software capable of generating a four parameter logistic (4-PL) curve fit. As an alternative, construct a standard curve by plotting the mean absorbance for each standard on the x-axis against the concentration on the y-axis and draw a best fit curve through the points on the graph. The data may be linearized by plotting the log of the target antigen concentration versus the log of the O.D. and the best fit line can be determined by regression analysis. This procedure will produce an adequate but less precise fit of the data. If samples have been diluted, the concentration read from the standard curve must be multiplied by the dilution factor. All reagents must be at room temperature (18 °C to 25 °C) before running assay. Do not mix or substitute reagents with those from other lots or other sources. Do not use kit reagents beyond expiration date on label. Do not expose kit reagents to strong light during storage or incubation. Use disposable pipette tips for each transfer to avoid microbial contamination or cross contamination of reagents. Improper or insufficient washing at any stage of the procedure will result in either false positive or false negative results. Avoid contact of stop solution with skin or eyes. If contact occurs, immediately flush area with copious amounts of water. Do not use TMB substrate solution if it has begun to turn blue. Do not expose bleach to work area during actual test procedure because of potential interference with enzyme activity. Storage Comment 4°C/-20°C,May be stored at 2-8°C for up to 1 month. For long term storage, please store at -20°C. Try to keep assay plate in a sealed aluminium foil bag and avoid dampness.